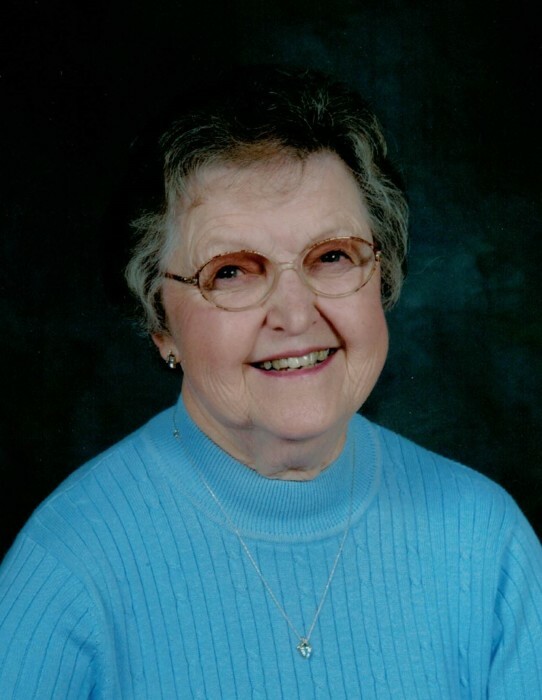 Elaine Olivia Niermann, 93 of Hoyleton, passed away at 2:45 p.m. on Friday, November 30, 2018 at St. Louis University Hospital. She was born on March 8, 1925 in Oshkosh, WI, the daughter of Rev. Paul and Olivia Berger Stange. She was baptized and confirmed by her father and on August 1, 1948 he performed her marriage to LeRoy Niermann. LeRoy passed away on August 2, 2001. Also preceding her in death were her parents, 2 brothers; Dr. Paul (Ostrid) Stange and Robert S. (Lois) Stange. A sister; Carol (Dan) Knewitz. Left to mourn her passing are 2 sons; Bradley (Sherri) Niermann of Hoyleton and Curtis Niermann of St. Louis, MO. A daughter; Patricia (Mike) Squibb of Salem. 4 grandchildren; Phillip (Amanda) Squibb, Timm (Kendra) Squibb, Drew (Hannah) Niermann and Becca (Jordan) McGuirt. 2 step granddaughters; Hope Dinkins and Kristen Shaw. 10 great grandchildren. Elaine was a hard working farm wife for over 50 years. She was a member of Zion United Church of Christ where she taught Sunday School since she was 15. She also sang in the choir, served on the church council and was a member of the adult fellowship and women’s guild. She was also a member of the Washington County Home Extension. She enjoyed water aerobics, pinochle, dominos, scrabble and going to Nashville High School basketball games. She was an avid St. Louis Cardinal fan. Funeral services will be held at 11:00 a.m. on Wednesday, December 5, 2018 at the Zion United Church of Christ in Hoyleton with Rev. William Causer officiating. Burial will follow in the church cemetery. Friends may call from 5:00 to 7:00 p.m. on Tuesday and one hour prior to services on Wednesday both at the church. Memorial contributions may be made to the Zion UCC. Styninger Funeral & Cremation Chapel in Hoyleton is in charge of arrangements.